Bleeding is a common sequela of oral and periodontal surgery. Generally, bleeding is self-limiting. Following traumatic injury or surgical procedures, hemorrhage can range from a minor leakage or oozing at the site, to extensive bleeding leading to complete exsanguinations. Significant postsurgical hemorrhage following periodontal surgery is uncommon due to the primary closure of the soft tissues. This case report describes the unique formation of a "liver clot" or "currant jelly clot" following periodontal flap surgery. The likelihood of this may be attributed to many factors, like infection, intrinsic trauma, presence of foreign bodies like splinter of bone, a fleck of enamel, or a piece of dental restorative dressing material that may cause repeated, delayed organization of blood coagulum. 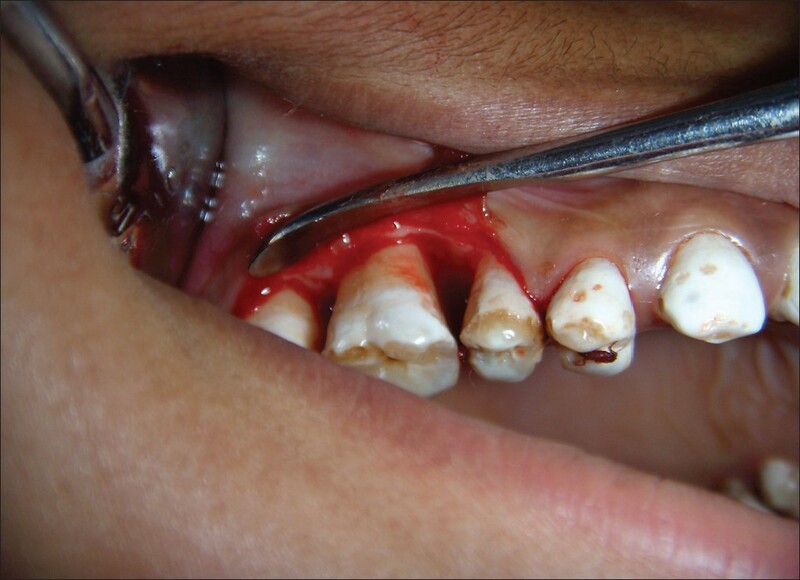 A 22-year-old girl reported to the Department of Periodontics, Pacific Dental College and Hospital, Udaipur for evaluation and treatment of gingival bleeding and presence of periodontal pocket on the mesial and distal aspect of tooth #16. Clinical evaluation of #16 revealed bleeding on probing and presence of a 7 mm periodontal pocket on mesial and distal aspects. Radiographic evaluation revealed moderate amount of bone loss. 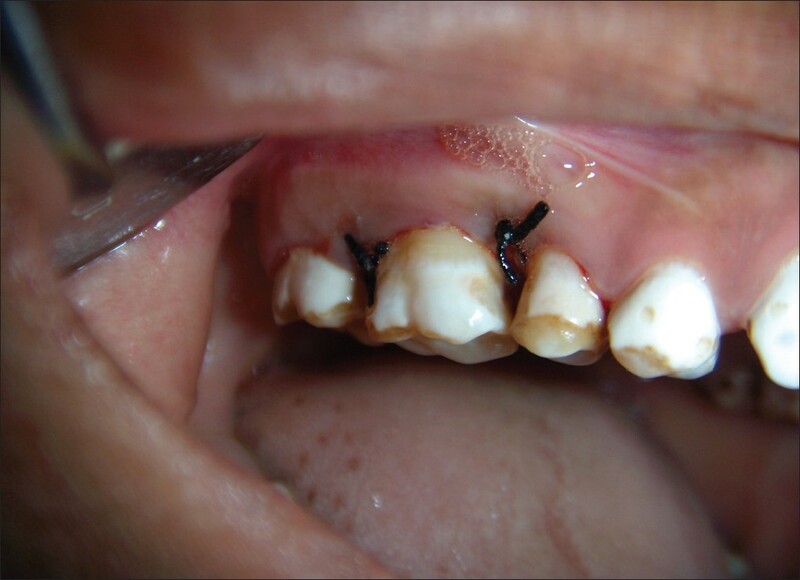 Root planing and subgingival curettage were performed at the initial appointment. Clinical symptoms subsided a few days later, but, the pockets were still present. Therefore, a periodontal flap surgery procedure was planed to treat the site. Antibiotic medicament prescribed was capsule doxycycline 200 mg twice a day for one day followed by once a day for six days and analgesic ketorolac dispersible tablet 20 mg twice a for three days. A 0.2% chlorhexidine gluconate mouth rinse was recommended to replace the traditional mechanical oral hygiene procedures until the first postsurgical visit. Patient reported to department the very next morning with a complaint of inability to occlude due to presence of some foreign material at the surgical site. 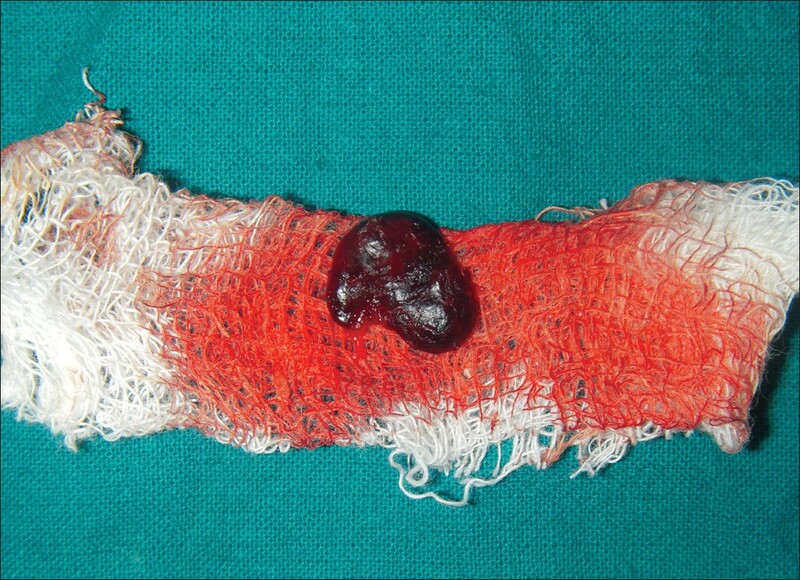 On clinical examination, a dark red, jelly-like pedunculated mass was noted in relation to the surgical site [Figure 2]. The mass was removed with a curette [Figure 3]. No hemorrhage was evident at the time of removal of clot. The periodontal flap was reflected again to visualize for any foreign body, but nothing was evident [Figure 4]. The site was irrigated with povidone iodine solution and flap was secured back to its original position with sutures. A diagnosis of "liver clot" or "currant jelly clot" was made based on clinical presentation. 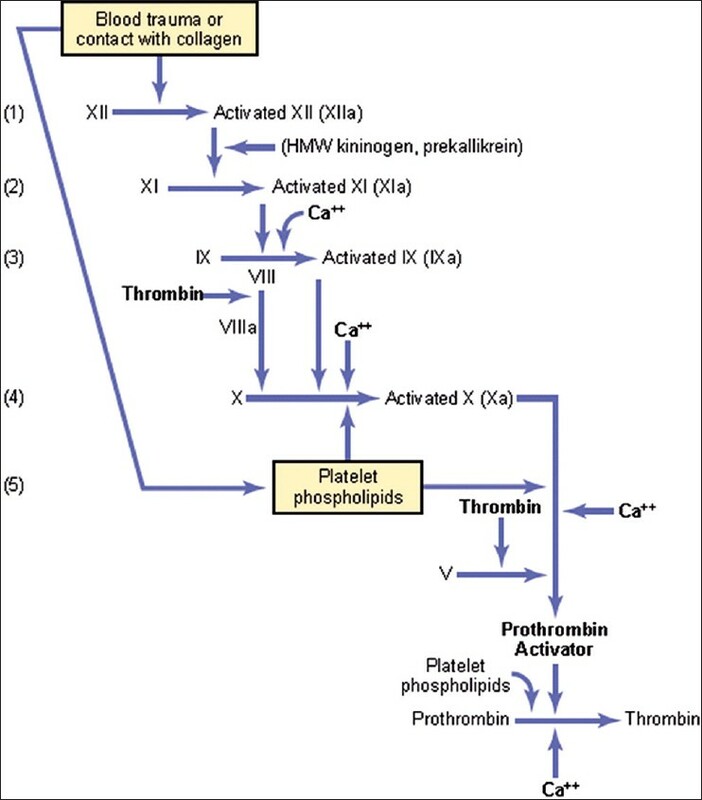 This cascade suggests that the mechanism is such that one factor will activate the following factor in a sequenced reaction resulting in formation of clot. Sometimes, after periodontal surgery there is formation of what is called a liver clot. It represents incomplete fibrin clotting and manifests as a slowly developing, red-brown clot. It is usually due to venous hemorrhage. The patient may have difficulty controlling the bleeding with pressure alone. If the patient calls from home, have them wipe away the clot with a piece of gauze and apply pressure for 10 minutes. In the office, inject bleeding sites with 1/50,000 epinephrine, curette the oozing fibrin clot away and suture the area or if bleeding persists, vasoconstrictive substances such as thrombin or collagen (procoagulants) may be employed. The haemostatic action of vasoconstrictor must be weighed against the observation that the frequency of postoperative bleeding is higher and the healing of extraction socket is delayed when epinephrine is employed. This phenomenon may involve a rebound vasodilation, possibly mediated by beta- adrenergic receptors. Another technique for coagulation is the use of diode lasers and electro surgery. Diode lasers are very effective for soft tissue applications including incision, hemostasis and coagulation. Many advantages of the laser vs. the scalpel blade have been discussed in the literature. These include a blood less operating field, minimal swelling and scarring and much less or no postsurgical pain. When laser surgical procedures are carried out, the wound heals favorably, without the need for sutures or surgical dressings. 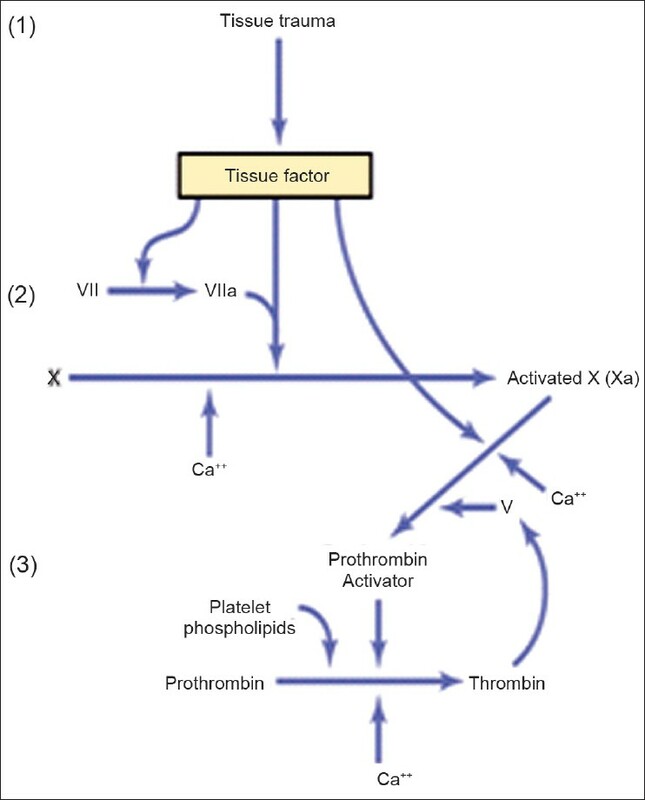 Electrocoagulation is the biterminal technique utilizing the partially rectified or fully modified rectified concentrated current to coagulate the organic content of the tissue without penetrating deeply the adjacent tissue. Kenneth et al investigated histologically the reaction of alveolar bone after gingival incision by electrosurgery using undamped fully rectified current and found that at 12 hours post operatively there is more soft tissue necrosis, more extensive inflammatory reaction, and greater destruction of the periosteum after electrosurgery. Necrosis of bone is also seen extensively at 48 hours. Laser surgery introduced a promising technology that would combine the rapid healing of the scalpel surgery and the minimal bleeding of electrosurgery. Therefore lasers are a tremendous asset in soft tissue surgeries like gingivectomy/gingivoplasty, flap surgeries, gingival sculpting associated with periodontal plastic surgical procedures because of their proven haemostatic action. 1. Richard F. Post-surgical hemorrhage: Formation of a "liver clot" secondary to periodontal plastic surgery. J Contemp Dent Pract 2001; 2;1-6. 3. Gupta A, Epstein JB, Cabay R. Bleeding disorders of importance in dental care and related Patient Management. J Can Dent Assoc 2007;73;77-9. 4. Kruger GO (editor). Textbook of Oral and Maxillofacial Surgery, 6th edition. The C.V. Mosby Company, St. Louis. Chapter 12 "Hemorrhage and shock"; Alling CC III, Alling RD. 1984;229,236-9. 5. Lapeyrolerie F. Management of dentoalveolar hemorrhage. Dent Clin N Am 1973;17;523-32. 6. Gyton AC, Hall JG. A textbook of medical physiology. 11 th ed, Delhi: Jaypee Brothers Medical Publishers; Philadelphia: Publication house-Elsevier; 2006. p. 461-2. 7. Greenstein G. A review of core periodontal treatment principles. DentalCE today.com powered by Dentistry today 1-8. 8. Fonseca RJ. Aneasthesia/ dentoalveolar surgery/ office management. 1 st ed, Philadelphia: Publication House-Saunders; 2000. p. 67-8. 9. Romanos G, Nentwig GH. Diode lasers in oral and maxillofacial surgical procedures. J Clin Laser Med Surg. J Clin Laser Med Surg 1999;17;193-7.